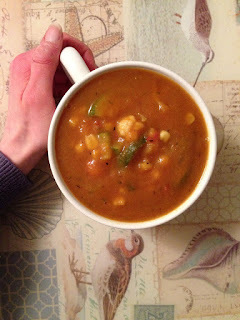 Discussion of the Week: Is it Possible to be over or underweight and healthy? So, here we go. The first ever "Discussion of the Week" on TFVG blog. Today's topic is a "weighty issue" (pun intended, hehe) for many: Is a person's health REALLY dependent on their weight? Or, as quoted in the title of this post, "It it possible to be OVER or UNDERWEIGHT AND HEALTHY?!" This has been an ongoing question for doctors and health advocates alike for many, many years. We definitely do not lack BMI charts, body fat calculators, "ideal weight" charts, etc. telling us about how much we should weigh, based on our height, age, and a couple other factors. But is this really a good indicator of a person's health? Is it possible to be over or under "your number" and actually be HEALTHIER than someone who is at their "ideal weight?" Let's dig a little deeper by looking at a case study...MY STORY. I was a very, very sick child growing up. I was diagnosed with eczema at age 3, which I still currently suffer from. In addition, I was constantly in and out of the doctor's office with ear infections, stomach problems, strep throat, croup (whooping cough), and pneumonia. I was chronically exhausted...constantly. At age 9, my doctor told me I had asthma. When I was 13, I was diagnosed with hypothyroidism. When I was 16, I was told I was going blind from vision loss caused by severe migraines I had been suffering from for the past 3 years. Keep in mind, guys, I was "healthy" based on my weight and BMI. Then I went vegan (see my "About Me" page for my complete vegan transition story! ): my migraines vanished, my thyroid levels regulated, my asthma went away...and I lost 30 pounds, putting me into the "underweight" category. I was, to be honest, quite concerned at first...as were my parents. I couldn't understand how in the world I could feel better--actually BE BETTER--when I was "unhealthy," according to medical standards. And then I went to my doctor. I was pretty scared at first of what she would say when I stepped on the scale--I wanted to be healthy, but I really wanted to stay feeling as good as I did--no headaches, no thyroid craziness, etc. I did'n't want to gain weight and have all of my sickness come back! My doctor's answer completely shocked both my parents and myself. Essentially, before I went vegan and discovered my severe fat intolerance, causing my headaches, (again, refer to my "About Me") I was essentially poisoning myself daily. With every bite of food I ate, I was feeding my body with allergens that, for some reason, my body just can't digest. These allergens can come in all shapes and sizes: for some people it's dairy, for some it's gluten. Unfortunately for me, it's a LOT. My doctor explained to me that I suffer from multiple SEVERE food allergies, causing all my health problems growing up, and when I finally eliminated these toxins in my diet, I basically "DETOXED," which explained the drastic weight loss. She was (and is, still) extremely happy with my medical stats, and told me not to worry for a second about being technically "underweight"--after all, I come from a family of very tiny people! For the first time in my life I feel good. I have energy (too much, probably...), NO headaches, and my blood work and medical tests are nothing shy of PRISTINE--flawless stats. Compared to when I was "healthy? ": different thyroid reading levels every month, low Vitamin D, zinc, and calcium....and I felt like crap 24/7. The proof is there--I'm FINALLY HEALTHY...and just so happen to be underweight, too--because it IS possible to be both. Now, let's look at the opposite side of the spectrum: can you be OVERWEIGHT AND HEALTHY?There are multiple cases of people that are technically "overweight" according to BMI, charts, etc. but have medical stats that are better than 20 year old athletes. There is even research currently being done by Harvard Medical School about the possible health benefits of carrying extra weight! It really just goes to show that our "standards" are outdated...and unrealistic. So I'm going to end this post by asking the same question I asked when I began: "Is it possible to be over or underweight and healthy?" YES. If the evidence isn't proof enough, let me say it this way: believing you're healthy just because you fit into a chart is SO wrong. Each BODY is different--no one person in the whole wide world is like you! So why on earth would we think there's only ONE healthy weight for someone who is 5'3"? That number doesn't take into account their body structure, muscle mass, genes, body fat, you name it. It really doesn't take into account THE PERSON--just their numbers. So the bottom line? You know your body better than anyone else. You know what your ideal weight is better than anyone else, whether it's slightly over your "standard" or slightly under. I cannot stress this point enough, you guys--LISTEN TO YOUR BODY. And keep listening-we are ever evolving, and constantly learning about ourselves. We must stay open to this new knowledge and accommodate accordingly. Snowstorm Stew! Vegan, Gluten-free. Serves one. 1. Combine all ingredients in a medium-sized soup pot and stir well. 2. Bring to a boil over medium-high heat and boil for 5 minutes. 3. Reduce heat to medium and simmer, stirring regularly, for 10-15 minutes for flavors to mingle. 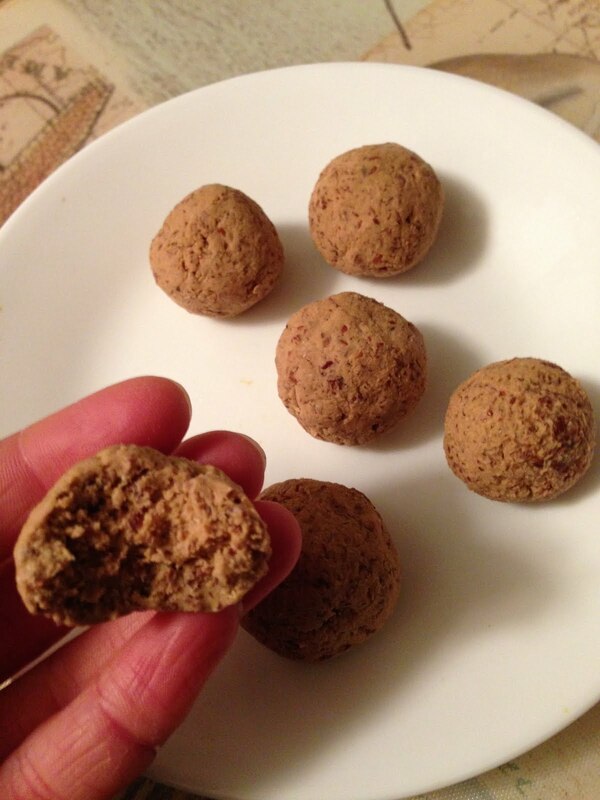 Flax 'n Protein Power Balls! If you have followed me or my recipes for any length of time at all, you already know that I'm pretty much OBSESSED with flaxseed. I'm also pretty obsessed with protein powders...and the only thing better than these two things enjoyed separately, is these two things COMBINED! All you need is rice protein, ground flaxseed, stevia, water, and 5 minutes prep time (and a few hours in the fridge)...then BAM! Just like that, new fave recipe. That was easy. Flan 'n Protein Power Balls! 1. In a medium-sized bowl, mix protein powder, flax, and stevia. 2. Add water 1 T at a time until you get a workable consistency--don't add so much as to make them gummy...you just want them pliable. 3. Divide dough into 6 small sections and roll into balls. 4. 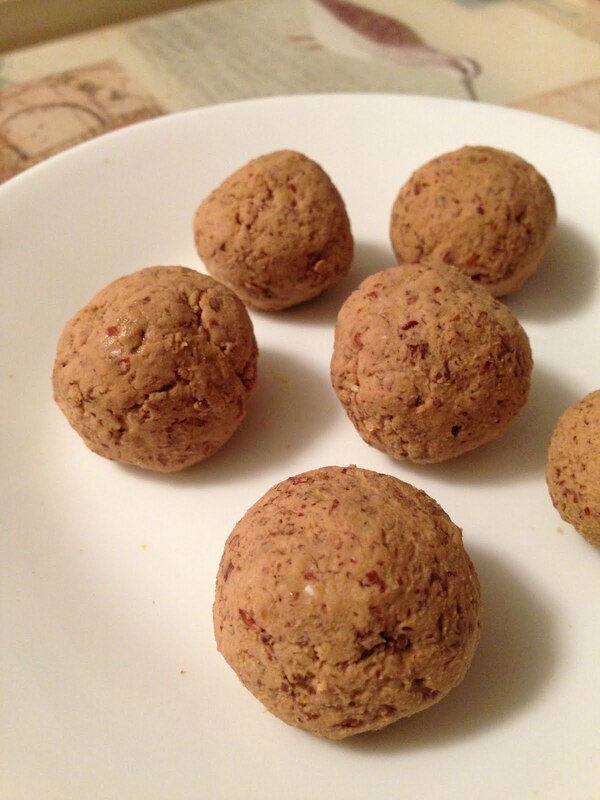 Place power balls on a small plate, cover, and refrigerate for 1 hour or more, to firm up a bit. 5. Remove from fridge and enjoy! Chocolate Covered Strawberry Nice Cream Float. Yep, you read that correctly. Chocolate covered strawberry nice cream FLOAT people. It's insane. And insanely healthy. What could be better?! Chocolate Covered Strawberry (PROTEIN!) Nice Cream Float. Vegan, gluten-free. Serves one. 1. 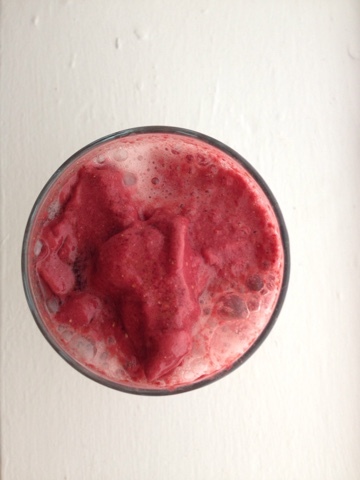 Combine strawbs and pro powd in vitamins and blend until powdery. 2. Turn off blender and add a splash of water. 3. Continue blending, working up to high power. Use blender's tamper to assist in creaming. 4. Spoon nice cream into large glass and pour seltzer over top SLOWLY. Enjoy!